Sure, you are a “small business”. But does that mean your ideas are small? That they can’t sprout and grow. When you were first planning your business, you had big plans. Big dreams for it. Now you are faced with the day-to-day list of things to do; things that had to be done, yesterday. Business ownership is a lot of work. Some days, those dreams seem a million miles away. Unattainable. Stop for a moment, and return to those dreams that propelled you into business ownership. What were they? What did they look like? Can you still feel them? Are they still there, but buried under a mountain of “stuff”? 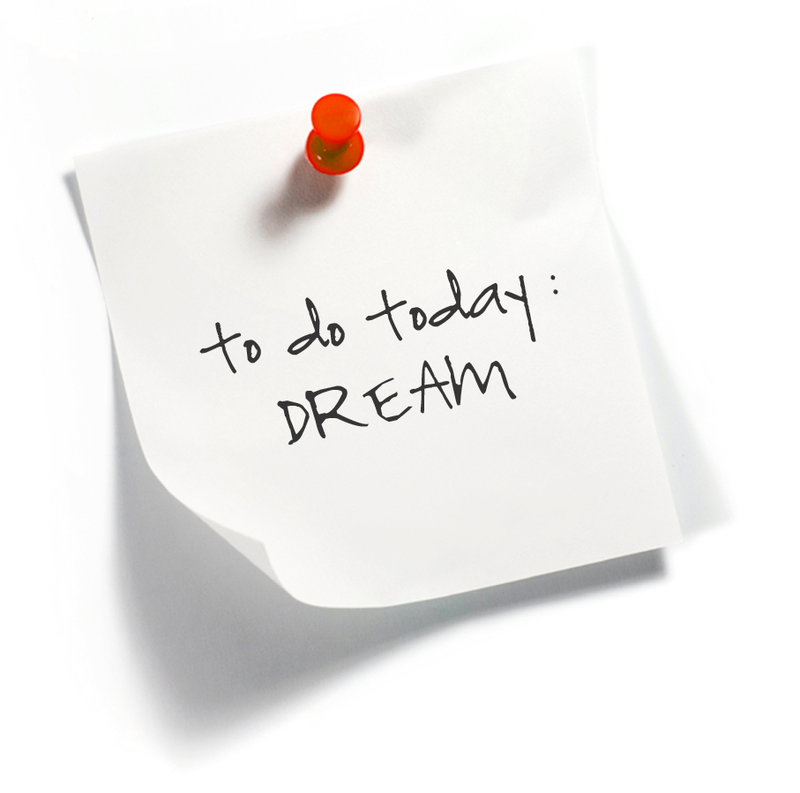 Here are some suggestions for getting those dreams back on track. They are basic; not-earth-shattering… But we all need the gentle reminder, once in awhile. Post them to your mirror or computer, so you can be reminded of them each and every time your stand/sit before it. Repeat them to yourself when you see them. What is important to you: Having the ability to pay the bills each month? Being home and readily available for your children in the evenings? The ability to take nice family vacations? Working from home? Providing great customer service? Whatever they are, write them down on a sheet of paper and then prioritize them. Choose your top two and write down actionable steps you can take, and are already taking, to make those priorities become reality and sustainable. How much time do you spend on administrative work for your business, versus the actual business of your business? How much time is spent shuttling kids here and there? What amount of time do you spend on business planning? How much time do you waste on stuff that is just noise? Do these things line up with the priorities that you listed above? Are they moving you closer to those dreams? If not, and there is a strong disconnect between them, then you are just spinning your wheels. You are struggling to propel forward. If you are frustrated in your business, it doesn’t mean that you are in the wrong business. Maybe it just means that you are going about it the wrong way. Are all of those things that are distracting and keeping you from your business dreams necessary? If it’s not working, and stalling your business, then it’s time to rethink it. Get back to that place where you can dream, set goals and make it happen. Reduce the noise and the distractions. Focus and re-prioritize. Previous Post Your business needs a logo. Now what?